Have a wine lover in your life you need to do a little shopping for? It’s time to think outside the bottle and give them a unique gift they’ll savor. While a bottle of Chardonnay or Cabernet is always appreciated, why not shoot for something they can enjoy longer. I’ve compiled the ultimate gift guide for wine lovers with a variety of items ranging in price to fit everyone’s tastes. This page contains affiliate links. Each time you make a purchase using the links below, you’re helping to support Carpe Travel, at no extra cost to you. 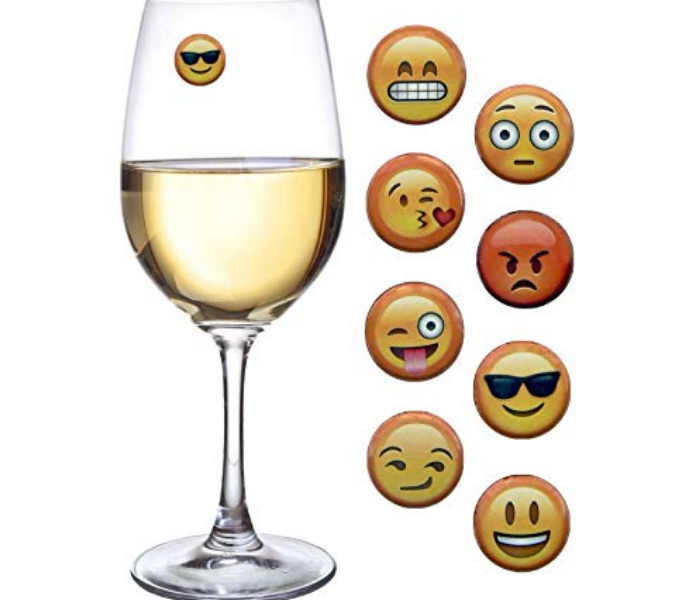 Imagine the fun you and your friends will have with these Emoji wine charms. And unlike other wine charms for stemless glasses, these will not slide or fall off. They work with two super strong magnets and attach THROUGH the glass, keeping your emoji secure all evening! 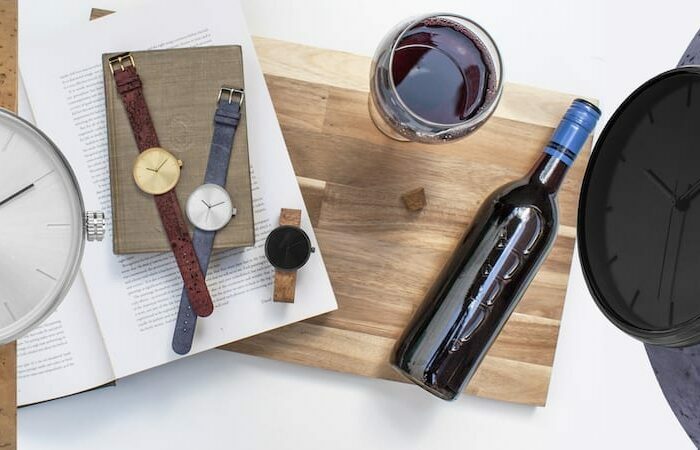 The new Somm Collection watches are the world’s only watches inspired and infused with wine. They features real cork bands dyed with Cabernet and blueberry wine. And with each purchase, the company plants an oak cork tree with its partner The Cork Forrest Conservation Alliance. That tree will produce usable new cork bark for over 200 years! Seriously, you’ll be giving a stylish and green gift! This fun and fascinating trivia game tests your knowledge of the fruit of the vine. Let the battle begin as players answer questions in categories such as Vine to Vino (growing grapes, making wine, and world production), Wine Cellar (selecting, storing, and tasting wine), and Cork Culture (wine people, business, arts and science, and trivia). Perfect for those new to the world of wine, but challenging enough for the devoted oenophile. Ever hesitated on opening that second bottle of wine? No more. 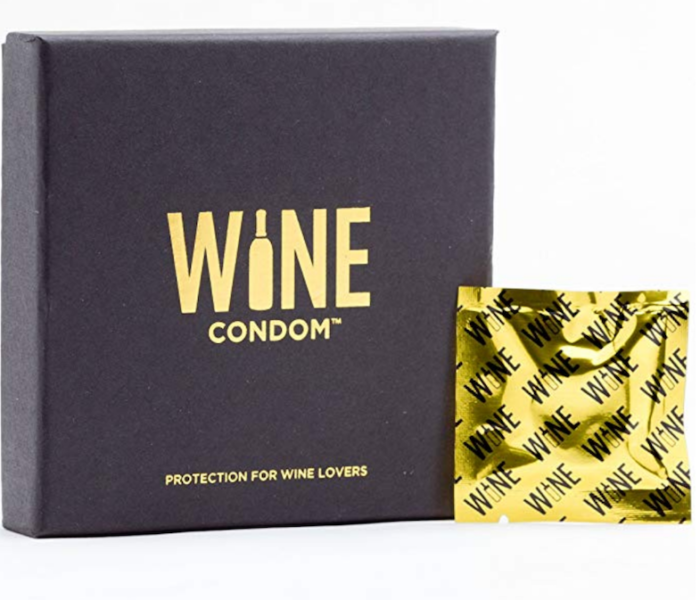 Wine Condoms are a great solution to preserving wine – it’s super seal prevents oxygen from entering the bottle and spoiling the wine. It’s also 99% effective preventing unplanned spillage. 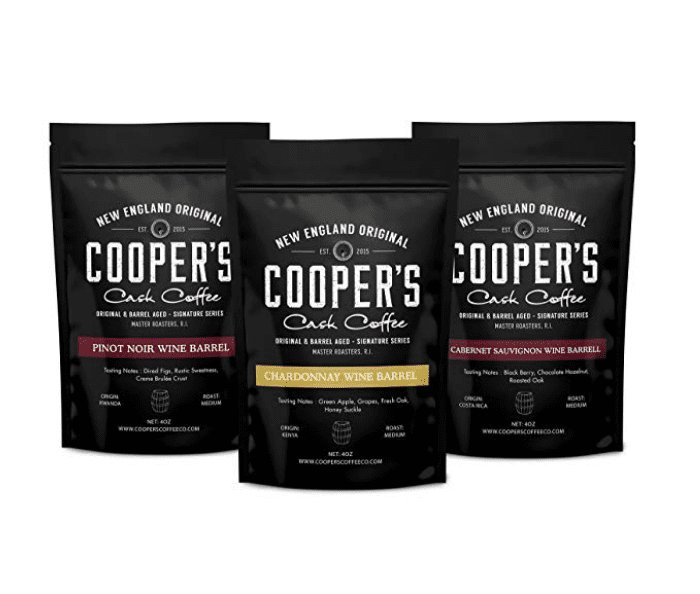 If the wine lover in your life is like me and lives off wine and coffee, then they’ll love these wine infused coffee beans. 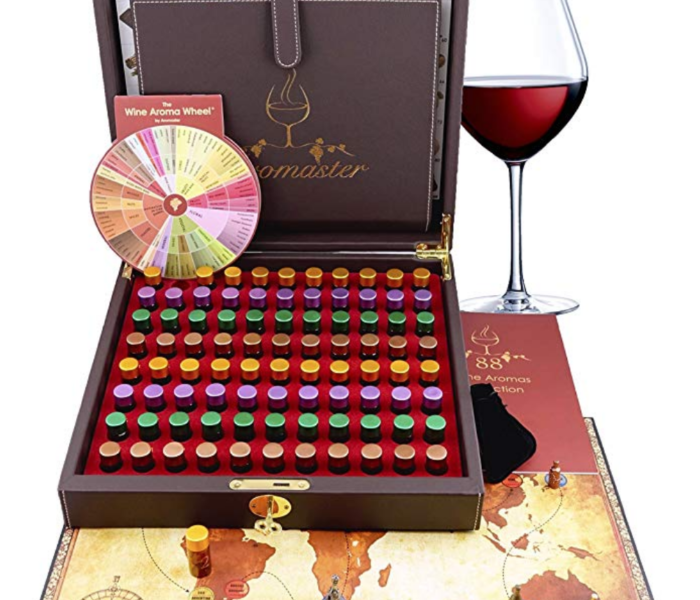 The Master Wine Aroma Kit is a wine tasting educational tool designed by sommeliers as a library of wine scents. It is the world’s most complete wine aroma collection, which combines 88 most common aromas found in sparkling, white, red and sweet wines produced around the world. Awaken your sense of smell and your tasting skills with this aroma recognition training tool. 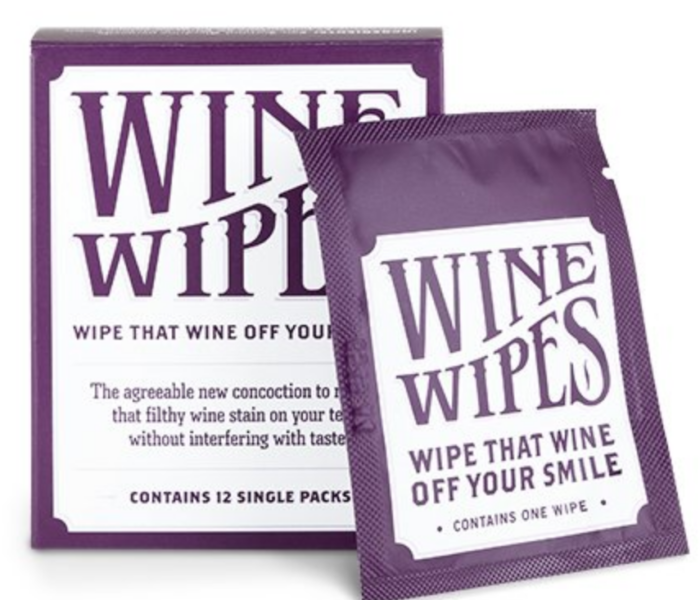 Perfect gifts for wine lovers or for those who wish to sharpen their tasting skills. I love doing a blind tasting with black wine glasses! It’s a lot more difficult – and fun – than you might think. These gorgeous goblets completely disguise the contents of your glass – is it red, white or pink? You have to use your nose and taste to guide your answer. If you’re interested in improving your ability to taste wine, the most important step is to get yourself into the mindset of actively tasting wine every time you open a new bottle. This tasting mat will encourage this behavior and give you a consistent format in which to write your notes. 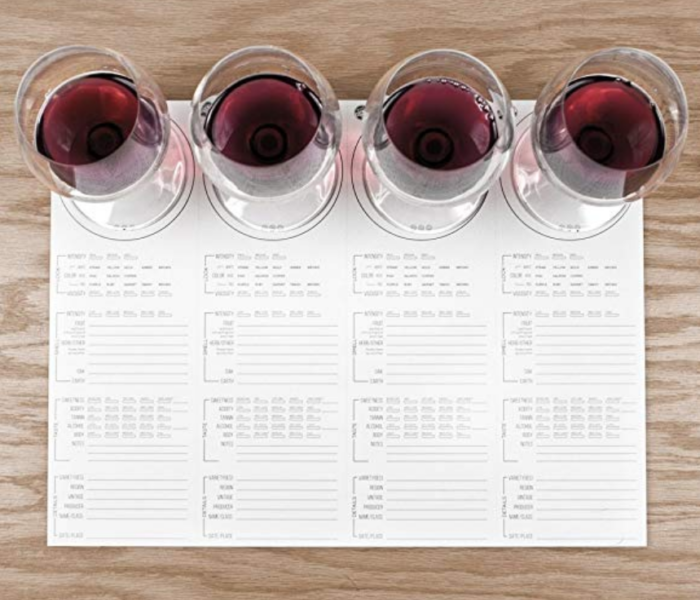 The placemats have cut guides to accommodate tastings of various sizes, and if you use the whole set, you will have consistent notes of 80 different wines. 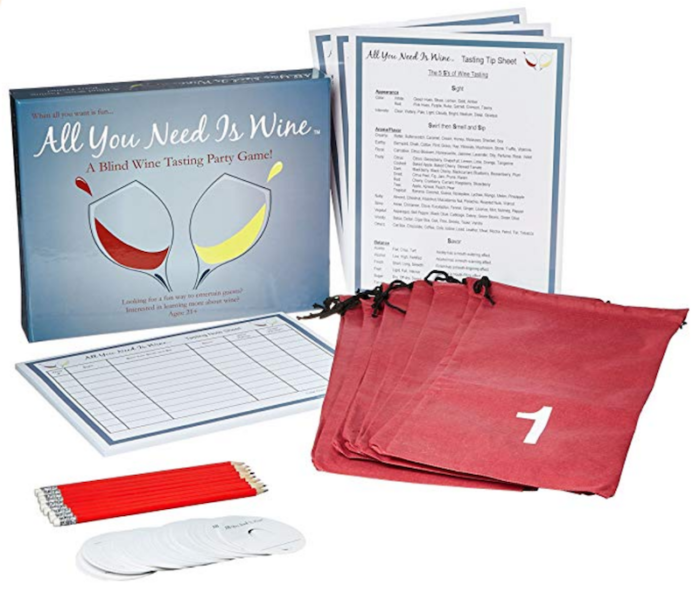 Designed for people of all wine knowledge levels, this blind wine tasting party game allows players to learn and practice the 5 S’s of Wine Tasting: Sight, Swirl, Smell, Sip, and Savor. Players blind taste each wine and use the Tasting Tip Sheets to record their tasting notes on custom designed Tasting Note Sheets. Players then guess each wine’s grape varietal and tally the results. What better way to host a fun party while expanding your wine knowledge?! 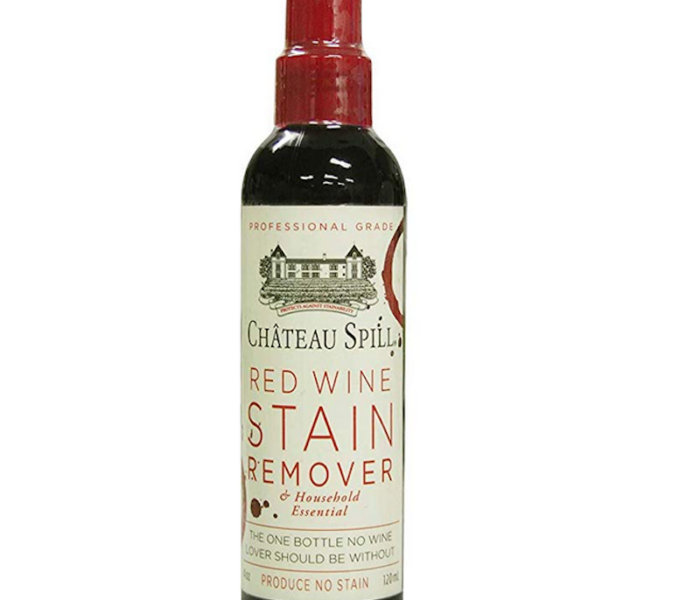 Chateau Spill Red Wine Stain Remover breaks down stains and removes them without use of peroxide, chlorine bleach, or phosphates. Initially developed to remove the stains that lab workers get on their hands when working with slides, this proprietary stain-fighting formula brings the extraordinary science used for decades by doctors, scientists, and nurses, to the aid of the educated drinker and party host. Chateau Spill’s unique and gentle chemistry quickly breaks down pigment at a cellular level to lift and remove red wine stains without harming skin or causing damage to fabrics. There’s no aggressive bleaches, harsh oxidizing chlorines, or phosphates. This true secret weapon to saving any party mishap is easy to use. 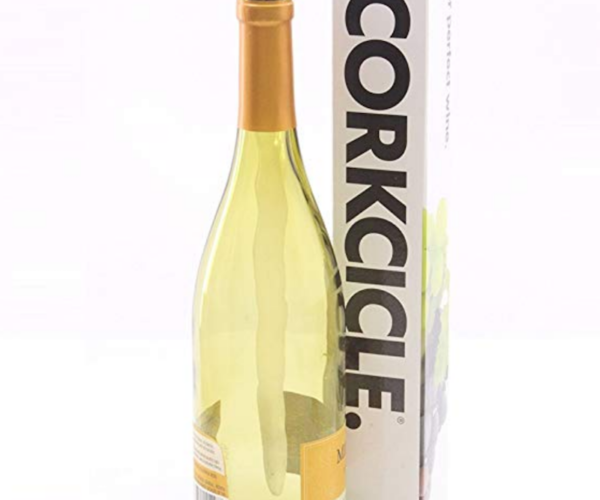 The Corkcicle Wine Chiller is an innovative product designed to keep your white wines chilled and bring your room temperature reds down to a more suitable “cellar” temperature, without the need for an ice bucket. Just throw the Corkcicle in the freezer for 90 minutes. After pouring the first glass of chilled white, drop it in the bottle to maintain the perfect temperature. For reds, pour a taste and insert Corkcicle for 12 minutes to lower the temperature to the mid 60’s. The Corkcicle is BPA free plastic and non-toxic freeze gel so you won’t have any change in flavors and it’s reusable. 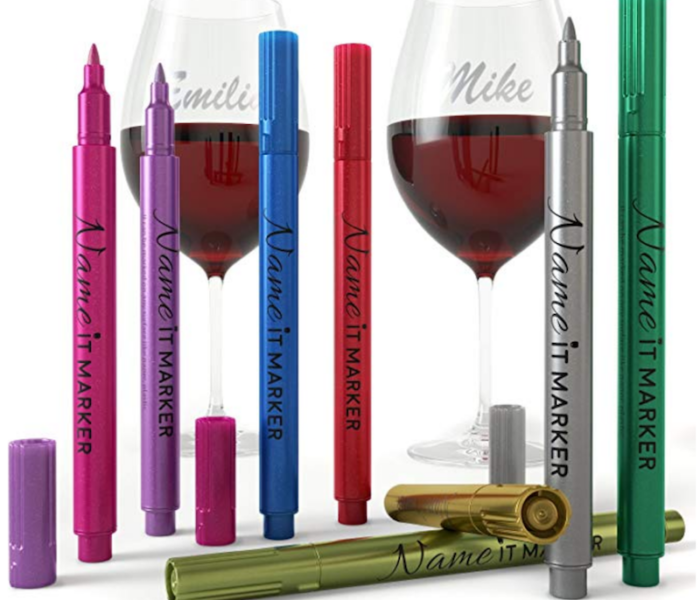 I personally love using these wine markers to note when we should open bottles of wine and/or when I got them. They’re also great for writing on wine glasses so people can keep up with their glasses. The ink in these writing pens is absolutely safe and food grade, and is easy to wash off with warm soap water. SipCaddy is the only portable cupholder in the world that also holds wine glasses! Attach it to any smooth, nonporous surface for an instant drink butler for wine (or beer). Have a roommate who likes to snag your wine? Not anymore. 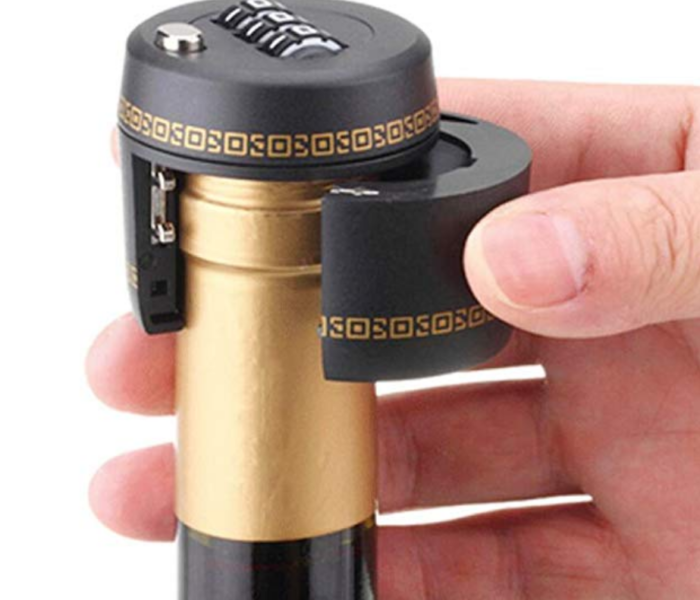 This wine/liquor bottle lock will put an end to that. 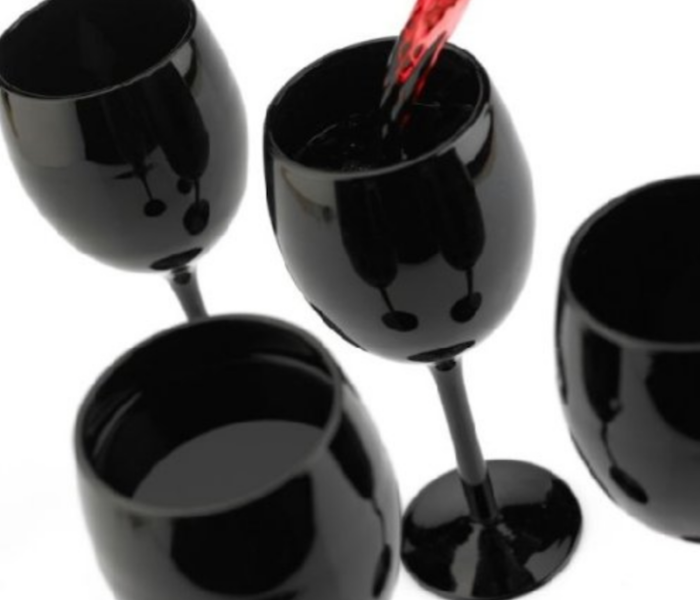 Want to have a wine glass but can’t have the glass? 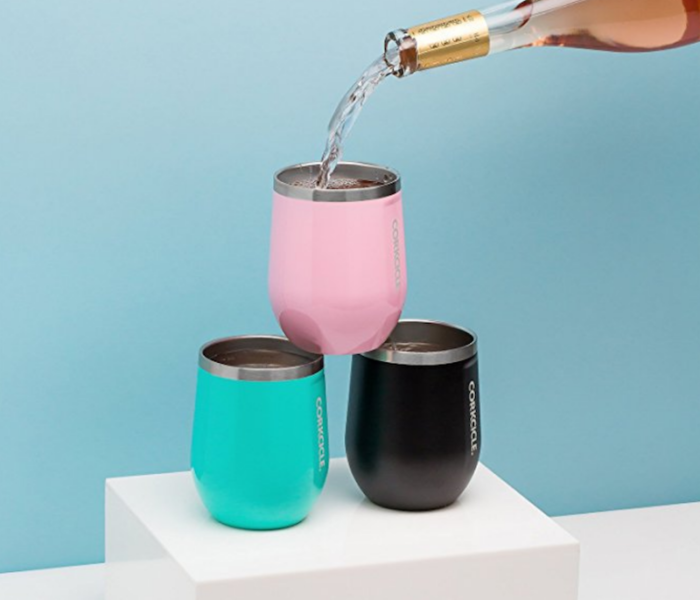 The CorkcicleTriple-Insulated Stemless Glass is perfect. 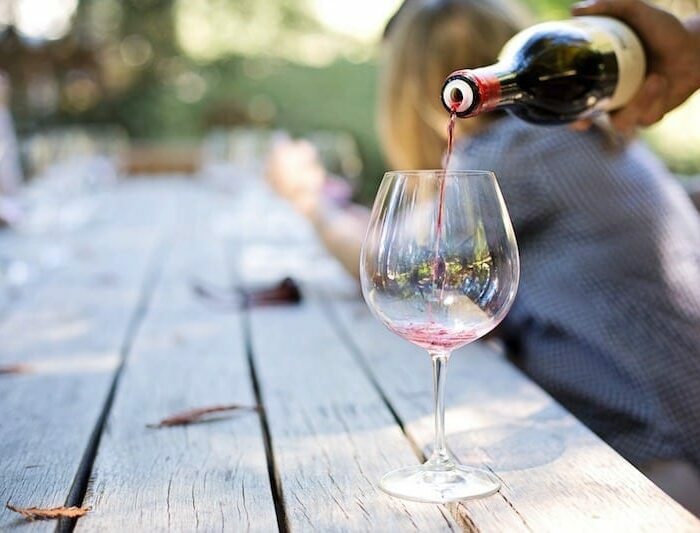 There is no taste change in the wine and it keeps your wine the perfect temperature when you’re outside at the pool (or cozying up to the fire). I find myself not wanting to open a bottle of Champagne very often since I will rarely finish is and hate for it to go to waste. No more! 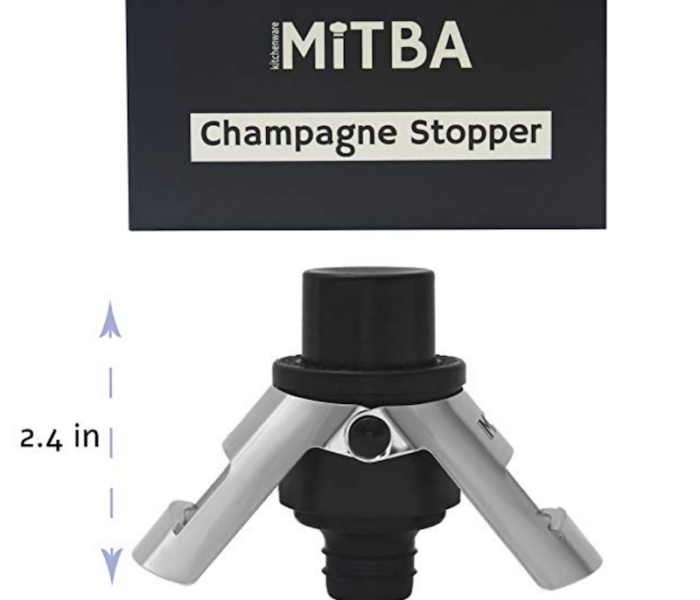 This Champagne Stopper is a game changer. It preserve the bubbles of the fizz so a Sunday Mimosa can include a toast to Monday, Tuesday and Wednesday. 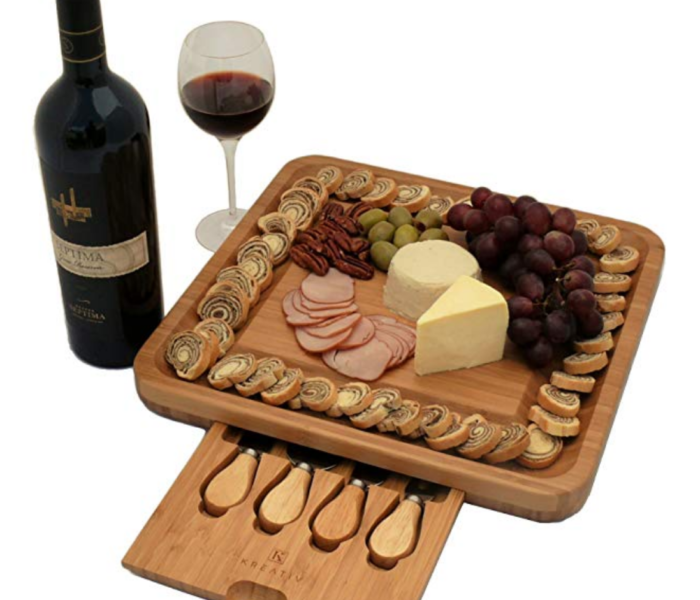 I love this Bamboo Cheese Board! The hidden drawer includes four slicing, spreading and serving tools AND, it can easily opened without interrupting the use of the cheese board. 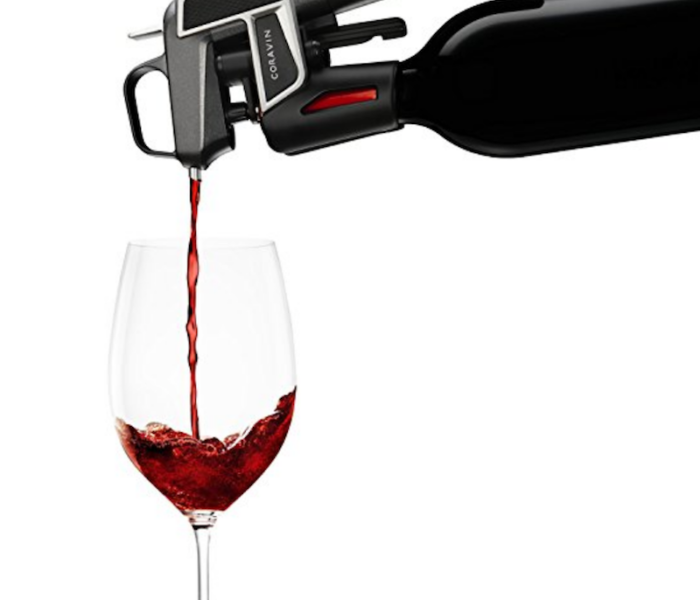 The Coravin is an intuitive wine system that gives you the freedom to pour and enjoy a glass of wine from any bottle, at any time, without pulling the cork. Why does this matter? It keeps the wine safe from oxidation, allowing it to continue to age naturally. 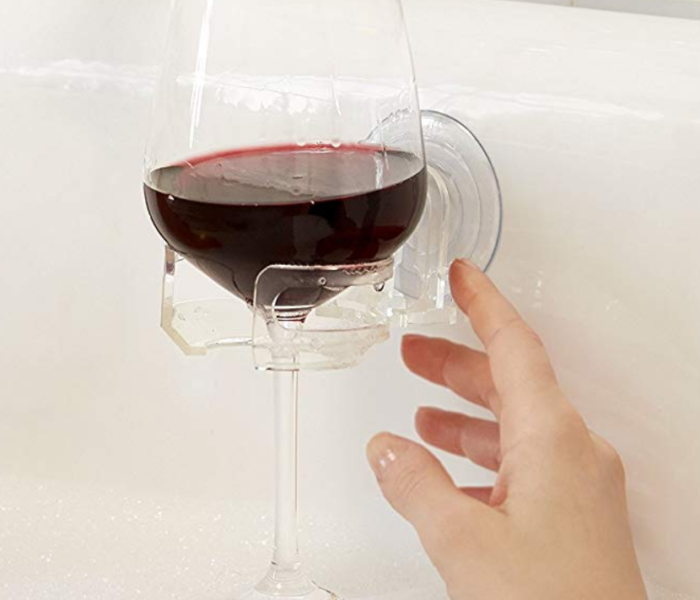 This two-piece aeration shower funnel is designed to aerate wine as it is poured. 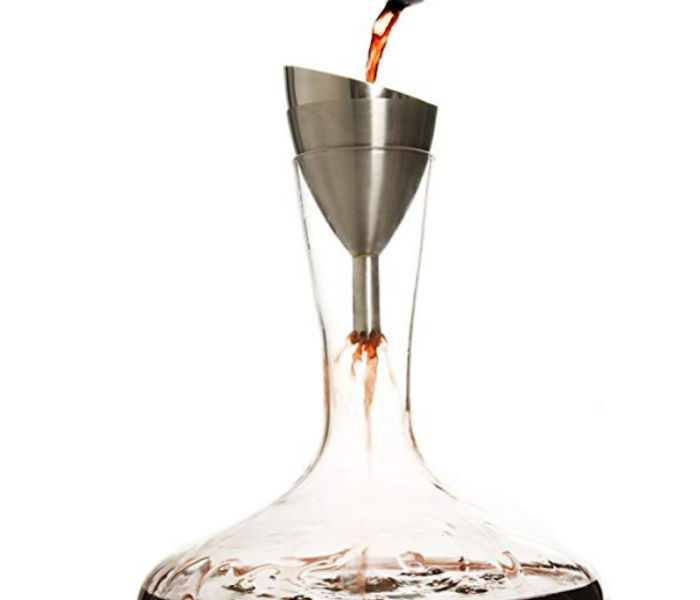 The nested strainer removes sediments and solids from red wine during aeration. Calling all winelovers! This is the suitcase for you. 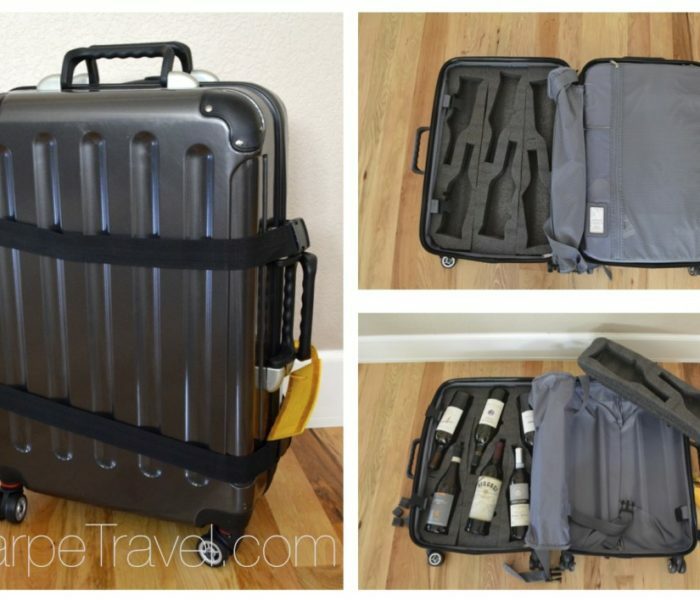 The VingardeValise Wine Suitcase was designed to be a suitcase AND a wine carrier. It features removable foam modules that hold a variety of different sized wine bottles. Since the foam can be removed you can also use the VinGardeValise as a suitcase for clothing, etc. There are two versions, a 12 bottle version and eight bottle, petite. The Petite is perfect if you want to carry the bag on your flight (before adding the bottles for your return flight). See my full review. I loved using The Wine Check when we traveled to Italy! 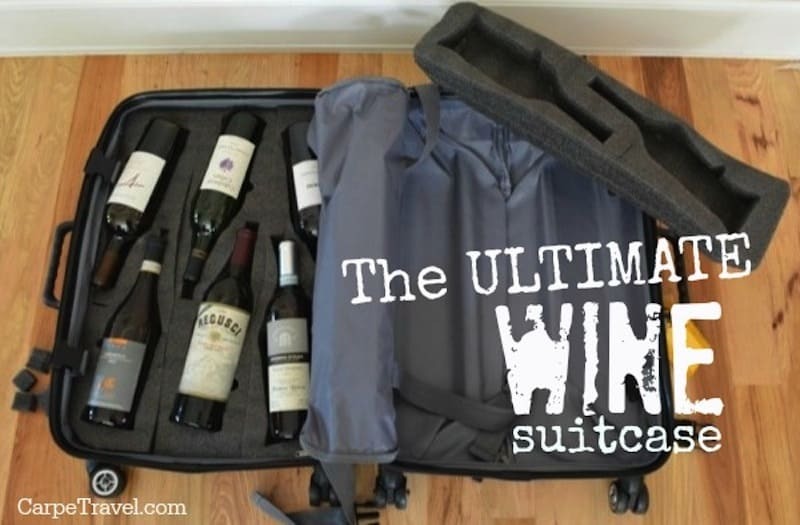 It’s a perfect tool for bringing wine home with you as checked luggage. 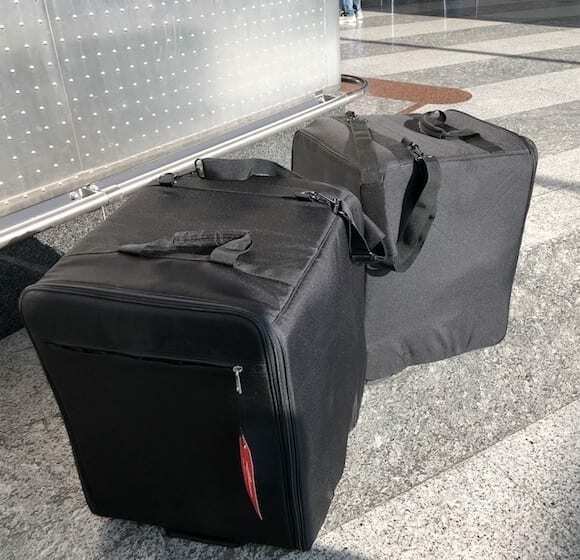 What I like about the The Wine Check is that it’s foldable when the shipper box is removed, so it can easily fit inside your travel luggage, say on your way to wine country. Pop it out, insert a cardboard or Styrofoam insert wine shippers (12 bottle), which you can pick up at most wineries and voila. The Wine Check also features carrying handles and pull strap with wheels making it easier to use around the airport. We didn’t have one drop spill when we used this on our way back from the Piedmont wine region in Italy. 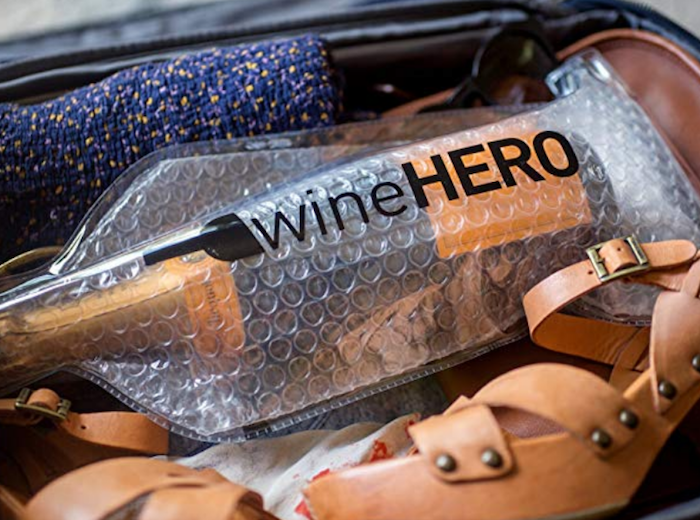 The Wine Hero is an excellent tool for traveling with wine in your checked luggage. Since this packs flat until you need it I end up keeping one in my carry-on at all times. Who knows when I might just HAVE to bring a bottle home with me… This bottle sleeve protector can’t be beat. It has a triple seal closure to ensure a completely spill and leak proof traveling experience.Best of all, it’s reusable, eco-friendly and can be used for not only wine but liquor, beer, olive oil and vinegar bottles. When I first saw the PortoVino Wine Bag I didn’t think I would ever use it BUT turns out there are so many times I found I could – concerts, the beach, parks, kids soccer practice – so I got one! There are several styles of the PortoVino Wine Bag so make sure to check them out to see which best fits your needs. Regardless, they all offer the ability to discretely carry two bottles of wine (or 1.5L of your favorite beverage) from a removable, easy to use bpa-free party pouch. Each PortoVino has a unique, patent-pending secret, zippered, insulated pocket that keeps your party pouch chilled for hours. Each bag features a designer flap on the back that hides a pouring spout until you are ready to use it. This high quality and eco-friendly bow tie is and made with 100% natural cork. The tuxedo tie is adjustable and made with sustainable resources that are animal safe and ultra soft to the touch. Who doesn’t love fun t-shirts, especially when they’re wine related. There are too many great ones out there to include in this gift guide so I picked my favorite. I love this book! It’s a history lesson on WWII and wine… In 1940, France fell to the Nazis and almost immediately the German army began a campaign of pillaging one of the assets the French hold most dear: their wine. Wine and War tells the thrilling story of the French wine producers who undertook ingenious, daring measures to save their cherished crops and bottles. Like a lively course from an expert teacher, The Wine Bible grounds readers deeply in the fundamentals of wine regions, while layering on informative asides, tips, amusing anecdotes, definitions, glossaries, photos, maps, labels, and recommended bottles. Karen MacNeil’s information comes directly through primary research; she has tasted more than 10,000 wines and visited dozens of wine regions around the world. And through it all the reader becomes ever more informed—and, because of the author’s unique voice, always entertained. Professional journalist and amateur drinker Bianca Bosker didn’t know much about wine—until she discovered an alternate universe where taste reigns supreme, a world of elite sommeliers who dedicate their lives to the pursuit of flavor. With boundless curiosity, humor, and a healthy dose of skepticism, Bosker takes the reader inside underground tasting groups, exclusive New York City restaurants, California mass-market wine factories, and even a neuroscientist’s fMRI machine as she attempts to answer the most nagging question of all: what’s the big deal about wine? What she learns will change the way you drink wine—and, perhaps, the way you live—forever. Wine Folly offers an inventive, easy-to-digest approach to learning about wine. Now in a new, expanded hardcover edition, Wine Folly: Magnum Edition is a great gift for any budding oenophile who wants to boost his or her wine knowledge in a practical and fun way.